A new service from WCities lets you automatically put city guides on your iPod. PodCityGuides offers over 300 City Guides worldwide that can be downloaded and synced to your iPod. The guides feature information about hotels, restaurants, nightclubs, movies, local events, concerts, the weather and news. The service offers a free application for Windows that downloads the Guides to your iPod. 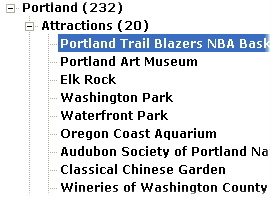 Users can personalize their downloads using the new WCities TravelBag to create an itinerary from restaurants, hotels, clubs, shops and sporting events. No Mac app is available, so Mac users have to copy the guides over manually. The Guides are compatible with all 3rd, 4th and 5th generation iPods, including the iPod Nano, Mini, Photo and Video. The service is free, but requires you to sign up with the site. Wcities is a location-based information service provider with coverage that currently spans over 1900 cities.